Florida's Best Business Address! 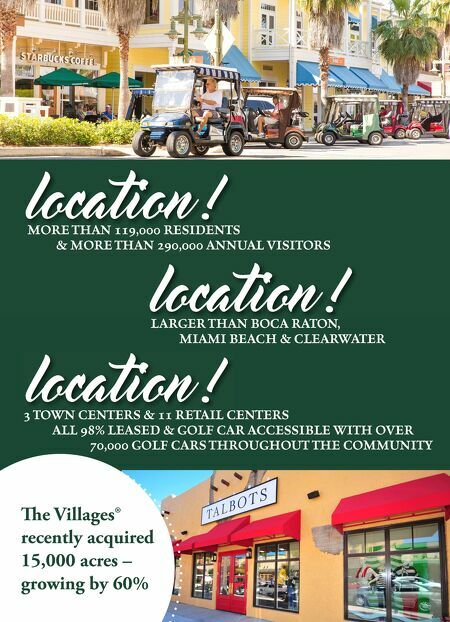 352-753-6654 Commercial.Property@eVillages.com www.eVillagesCommercialProperty.com JOIN Chico's • World of Beer Talbots • Tommy Bahama Marshall's/Homegoods Fresh Market • Petsmart Walgreens • Starbucks & over 700 more Residents of e Villages community have over $10.6 BILLION in buying power. e Villages community is the fastest growing metro area in the US for 5 years running. e Villages has sold over 2000 new homes a year for over 15 years. 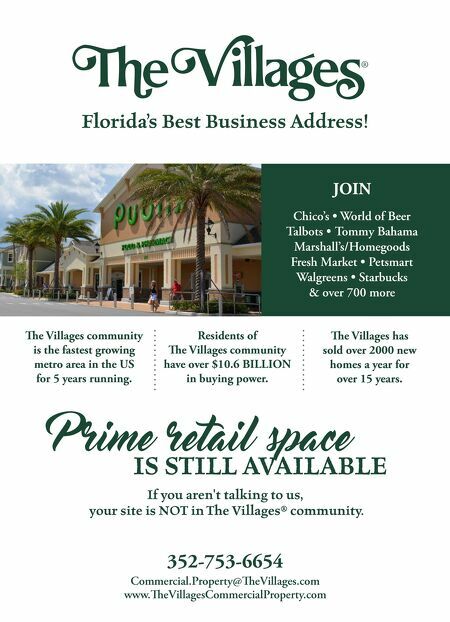 IS STILL AVAILABLE P rime retail space If you aren't talking to us, your site is NOT in The Villages® community.